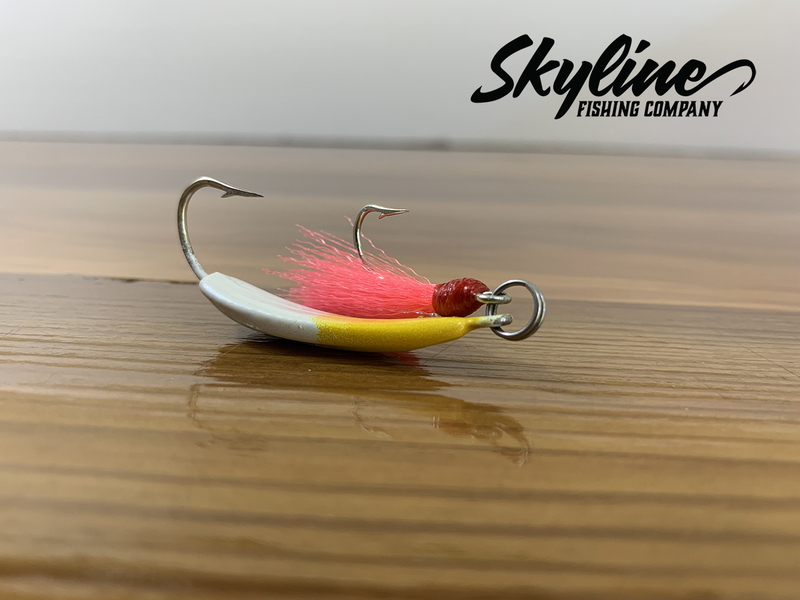 The Skyline Wacky Jumper Pompano Jigs with Teaser are designed to give you maximum action when jigging or bouncing off the bottom. We wanted to give you serious pompano fisherman a wide variety of weight options in which to choose. 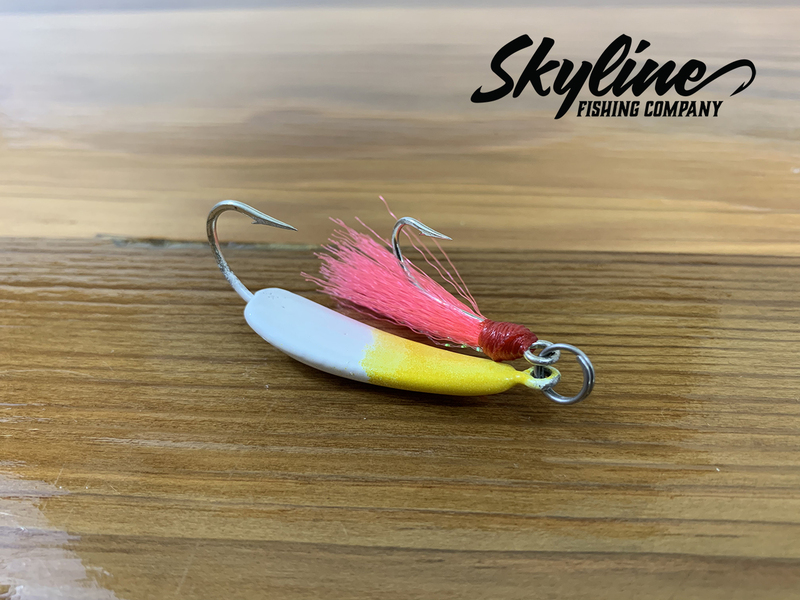 These Wacky jigs come with a teaser color of your choice. 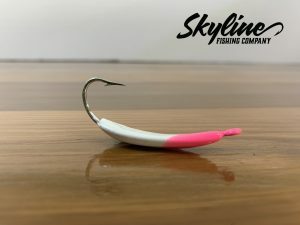 We offer several teaser color options. Also included is a split ring like provided in the picture. Made in the USA in Port Charlotte, Fl. 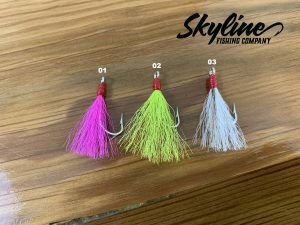 Available weights 3/16 oz, 1/4 oz, 5/16 oz, 3/8 oz, 1/2 oz, 5/8 oz, 3/4 oz and 1 oz.